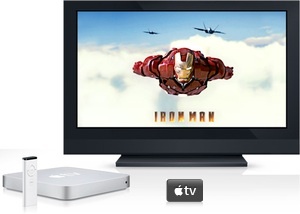 “The Apple TV had a rocky start in the UK. While the US had an iTunes store bursting with TV shows and movies, we had nothing but a handful of Pixar shorts,” Stuff reports. “That’s now been remedied, and the UK store is full of top shows like 24, Lost and Flight of the Conchords, with new episodes often available just 24 hours after the television airing, and some in HD,” Stuff reports.